Hello Friends,As you all know Facebook is becoming larger and larger as the time has been passing. There are so many users using Facebook. Nowadays, Facebook is no more limited to Chatting or meeting people living far away from us. In fact, it has became part of our Commercial and Professional Life. Facebook has been the part of interacting with people and nowadays it has been a common need for all of us. Every user would like to checkout his account everyday so as to checkout his friends, chatting with them,reading their profiles and so on. However, Facebook has taken a step to serve all Indian Users by providing a service in which they can use Facebook on their Mobiles without any GPRS/Internet Connection. Now it provides a facility to use Facebook even on Nokia 1100 with does not GPRS facility. 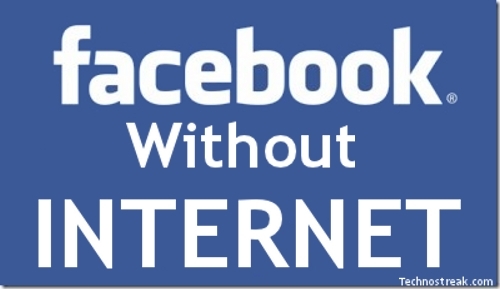 So, it's a really great service by which you can access Facebook without Mobile Internet or GPRS facilities. To serve all Indian users with this facility, Facebook got into a partnership with Fonetwish. If you wish to use all the features from your mobile like Status Updating, Seeing Wall posts, Notifications,etc. then you need to subscribe to the Fonetwish premium plan by clicking here. If you want to access this service, You need to dial *325# from your phone. You will shown up with the confirmation and the company providing you this service i.e. Fonetwish. Now you will be prompted to enter your Facebook Username and Password. Now, you can do many things using this service like Status Updating, Seeing Wall posts, Notifications,etc.!!! If you subscribe Facebook by Fonetwish, you will be charged Rs.1 per day with which you can access unlimited Facebook for a Single Day. Later on you can even unsubscribe to this service by dialing *325*22# from your Mobile. However, this service is currently enabled only for Airtel,Aircel and Tata Docomo Users. Later on, Facebook & Fonetwish will add more service providers to its list.